The House Lannister Hat started with 2 skeins of yarn I bought while on vacation in Maine. I found some lovely camel and red woolen spun yarn from Bartlettyarns, which is local to the area. I thought that the color combo would make a great stranded colorwork something-or-other, so I picked up the yarn and was on my way. I did pre-wash the yarn before using it, which made it bloom and removed a lot of lanolin. I found the yarn to be puffy and warm, but not itchy. It has a nice bit of grabbiness to it that is a perfect match for colorwork. I was playing with some colorwork charts and settled on this primary shield motif. Along with the colors it made me think of the Lannister army from Game of Thrones. 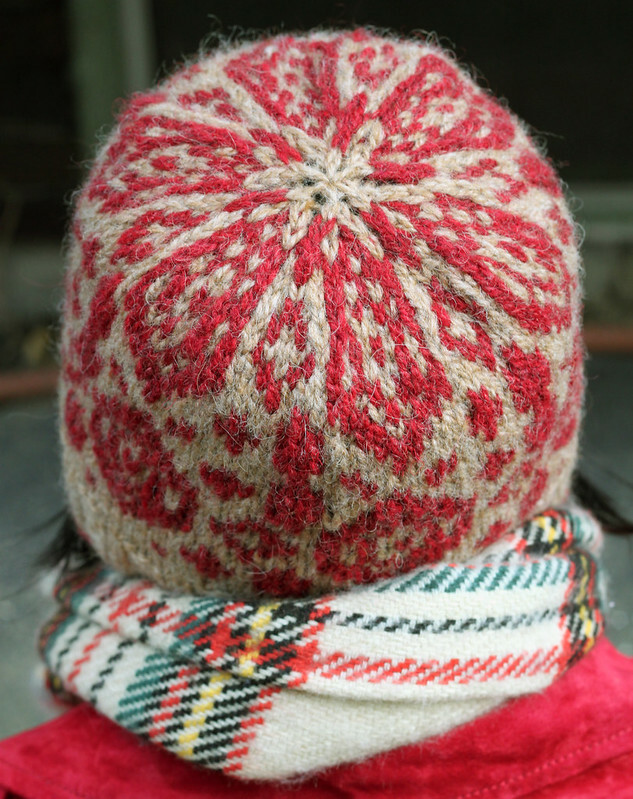 I always try to incorporate colorwork into the crown decreases when I design hats, so the shields transform into a star or flower motif at the top. 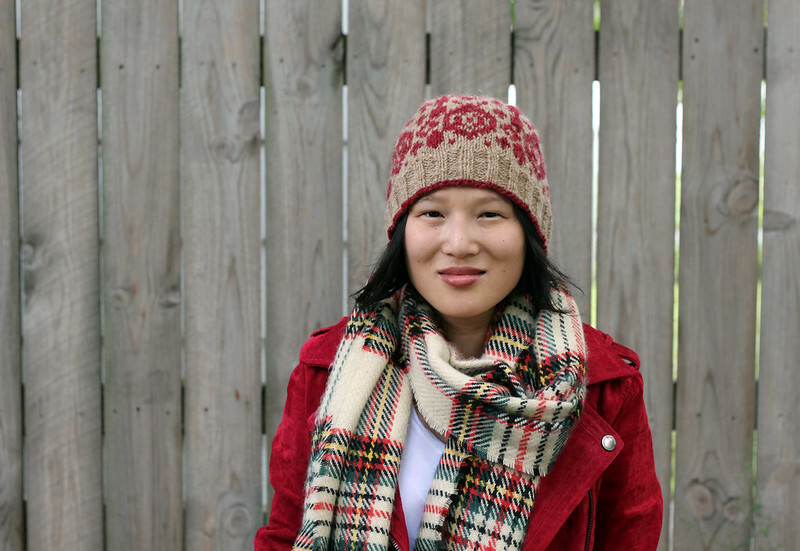 This hat comes in three sizes, Child, Adult M, and Adult L. You can knit either a fitted beanie as pictured, or knit a more slouchy version. 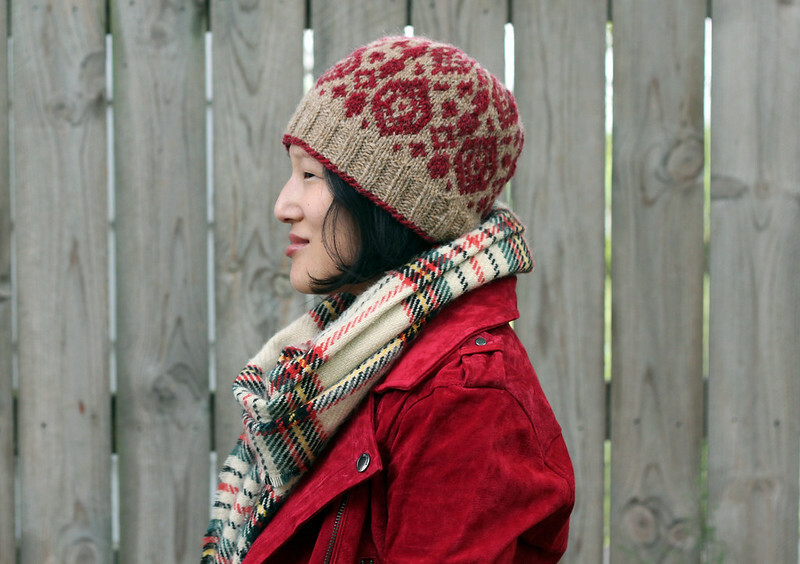 House Lannister Hat is currently on sale for $4 through Monday, September 18 at midnight Eastern time with the code winteriscoming.